Eric Gales grew up in a musical family with four brothers, two of them who learned to play the guitar upside down and left handed in the same fashion that Eric does. Eric’s brother Eugene Gales played bass in the Eric Gales Band and his brother Little Jimmy King had a thriving career as a blues artist before his untimely death. Eric released his first record at Age 16 for Elektra records to an amazing response from the media and music fans around the globe. Guitar World Magazine’s Reader’s Poll named Eric as “Best New Talent,” in 1991. After recording a second record for Elektra, all three brothers teamed up for The Gales Bros. “Left Hand Brand” which was recorded for the House of Blues label in 1996. Through the years, it would not be unusual to look out in the audience and see artists like Carlos Santana, Mick Jagger, Keith Richards, B. B. King, and Eric Clapton, looking on with interest as Eric took his God-given talent and worked crowd after crowd into a frenzy. The new Millennium presented new opportunities for Eric and he was signed to a deal with Nightbird Records which was affiliated with the Hendrix family and distributed through MCA/Universal. Under this deal, Eric recorded the critically acclaimed record “That’s What I Am” in 2001 and hit the road, mesmerizing fans around the world with his uncanny connection to his guitar. In 2006 Eric recorded the critically acclaimed CD “Crystal Vision” for Blues Bureau and set the stage for his incredible Blues Bureau follow-up, “The Psychedelic Underground.” in 2007. Eric followed sharply in 2008 with "The Story of my Life" and in 2010 hit a new stride altogether with the incredibly successful album "Relentless". That album combined with his latest studio album "Transformation" released in 2011 set the stage for his upcoming Double Live Album/DVD due in October of 2012. As both an African-American left-handed guitarist of extraordinary ability and an expressive vocalist, it is natural for people to compare Eric to Hendrix but Eric has developed a unique hybrid blues/rock sound that also draws upon influences as diverse as Albert King and Eric Johnson. 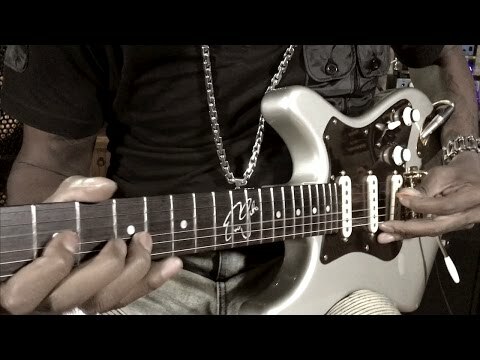 A unique amalgam of styles, Eric Gales stands head and shoulders among other guitarists in his genre. His new album “Middle of the Road” is gonna be released on Feb. 24th 2017. "I love the tone and the compatability that DV MARK amps have with the usage of my pedals. Simply sweet.!!! #BOOM"
Eric Gales The Bookends is #1 on the Billboard Blues Chart! Feb. 20, 2019, 2:13 p.m.
Blues star Eric Gales new album released on Feb 8th raised #1 on the Billboard Blues Chart. The Bookends is an album you can’t miss if you love new groovy ways to play blues! The DV Raw Dawg EG nominated for Best Affordable Guitar Amp in The Guitar Magazine. Nov. 8, 2018, 10:50 a.m. The DV MARK DV Raw Dawg EG Eric Gales signature head has been nominated for "Best Affordable Guitar Amp" in The Guitar Magazine's Gear of the Year awards!! The DV ‘Raw Dawg’ EG gets a 9/10 from The Guitar Magazine. Oct. 10, 2018, 10:34 a.m. 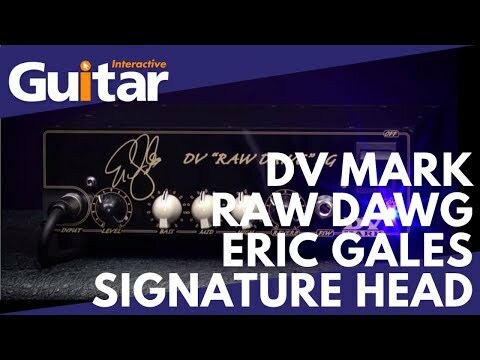 The Guitar Magazine had a great review of the DV 'Raw Dawg' EG Eric Gales signature head. 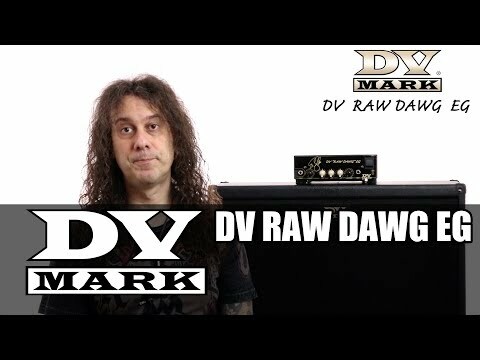 Mixdown magazine reviews the DV "RAW DAWG" EG. April 18, 2018, 12:53 p.m.
Australian Mixdown magazine have reviewed the DV "RAW DAWG" EG Eric Gales Signature head in their March issue, saying it is simple, versatile, small and spunky! Eric Gales Band European Tour. Oct. 9, 2017, 11:48 a.m.
Eric Gales is going to start his European tour supporting his new album “Middle of the Road” released on Feb 24th under Mascot label. Supersonic Blues Machine premiere new song from 'Californisoul' featuring Eric Gales. Oct. 3, 2017, 4:25 p.m.
Supersonic Blues Machine just premiered a second song from their upcoming album Californisoul, available worldwide October 20. This is “Elevate", featuring DV Mark top-artist Eric Gales. Middle of the Road, a new chapter for DV Mark artist Eric Gales. Feb. 24, 2017, 10:29 a.m.
Today is the day!!! Eric Gales new release “Middle of the Road” is officially available! 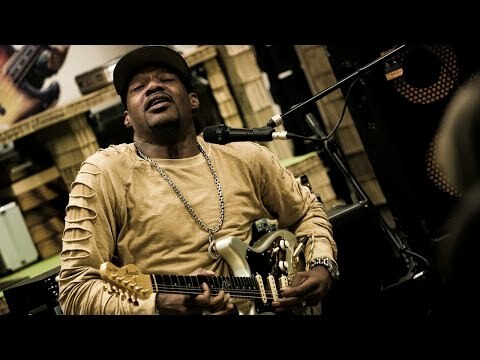 Eric Gales and DV Mark clinic in Italy! Oct. 18, 2016, 6:28 p.m.
We’re proud to announce guitar hero Eric Gales is gonna held clinic in Italy in November. 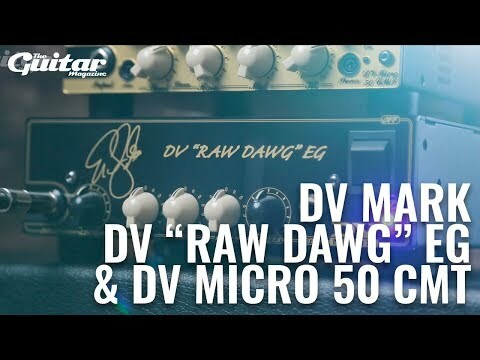 The Guitar Magazine - DV 'Raw Dawg' EG and DV Micro 50 CMT demo. 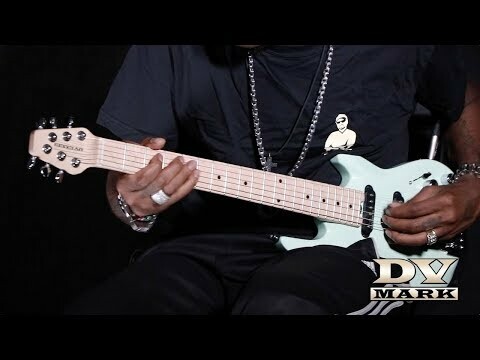 Eric Gales & DV Raw Dawg EG. Mark Power Wristband - Eric Gales. 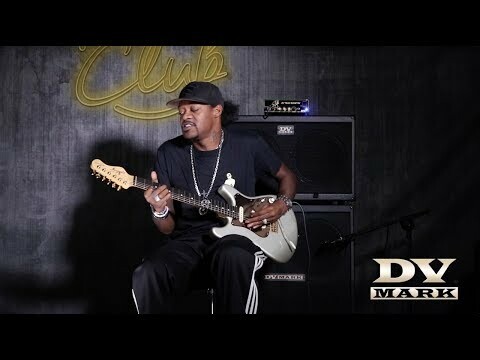 Eric Gales interview at DV Mark Factory.